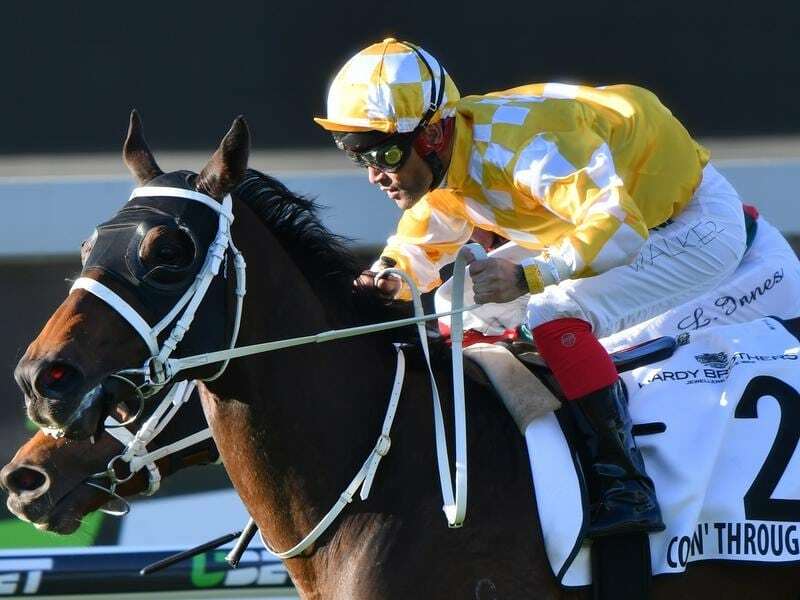 While a George Main Stakes win seems assured, Sydney’s premier trainer Chris Waller has claims for a two-state Group One double with Comin’ Through to fly the stable’s flag in the Makybe Diva Stakes at Flemington. Waller has five of the eight runners in Saturday’s weight-for-age George Main (1600m) at Randwick headlined by champion Winx who is the $1.14 favourite to claim her 20th Group One win and take her winning streak to 27 races. Waller had four horses nominated for Saturday’s Makybe Diva in Melbourne but elected to accept with only Comin’ Through. The Tramway was Comin’ Through’s first start since he broke through at Group One level in the Doomben Cup (2000m) in May. Comin’ Through has 11 rivals in the Makybe Diva including eight other individual Group One winners. “I guess it’s the best of what Melbourne have got to offer in terms of their weight-for-age horses,” Waller said in his stable update. “Obviously Humidor is the class act and I think there’s a couple of other up-and-comers there that deserve respect. But he’ll give them a shake. “His first-up win was very good and his work since has been good. Kementari, narrowly beaten in the Group One Memsie Stakes by Humidor two weeks ago, was $4.80 on Friday just ahead of Caulfield Cup favourite Kings Will Dream at $5, while Comin’ Through was at $11. Connections of last year’s Zipping Classic winner The Taj Mahal have told stewards the intention will be to lead on Saturday in the horse’s second start of his campaign in which he will have blinkers back on.